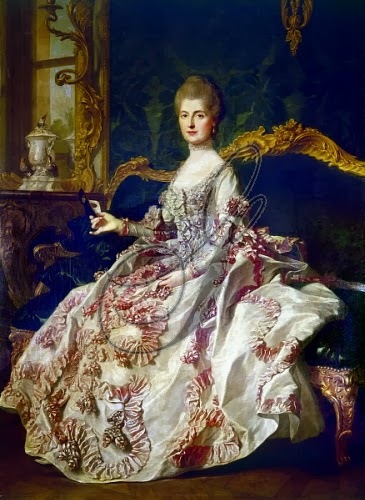 Following the death of Helvétius and the marriage of her daughters, Madame Helvétius retired to a spacious house in Auteuil which she bought in 1772 from the artist Quentin La Tour. She lived here until her death in 1800 when, in accordance with her instructions, she was buried in her garden. "Minette" inherited her husband's circle of liberal-minded writers and celebrities and partly funded the creation of the influential Masonic "Lodge of the Nine Sisters" which held its initial meetings in her living room. 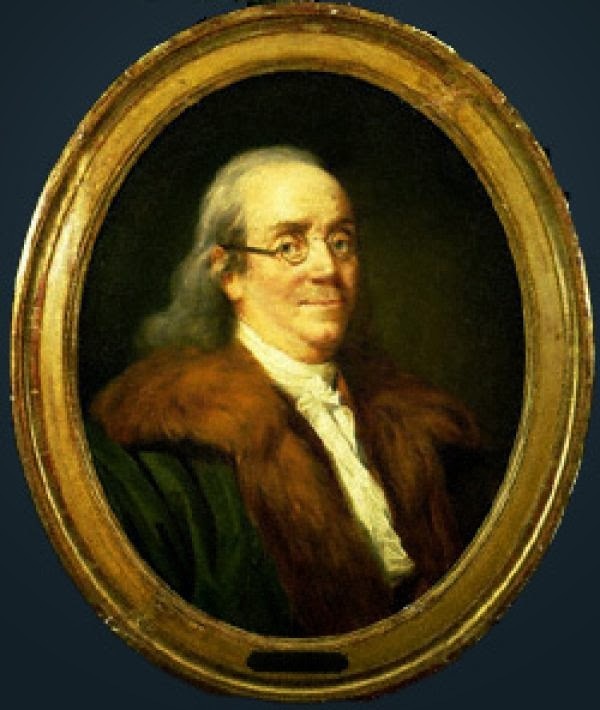 To their mutual pleasure, her guests often included Benjamin Franklin who, during his eight-and-a-half year sojourn in Paris from 1776 to 1785, lodged within walking distance in nearby Passy. Often portrayed as a glittering society gathering, the "Académie d'Auteuil" comes across rather as a comfortable circle of mutually supportive and, for the most part aging, friends. Two of them, the archetypal "literary abbés", André Morellet and Martin Lefevbre de la Roche, Helvétius's literary executor, actually lived on the premises, as did the much younger Pierre-Georges Cabanis, a doctor and poet, who was something of an adopted son. La Roche and Cabanis shared a small pavilion in the extensive garden. The three lived together, wrote La Roche, "without the slightest altercation"; they shared the same friend and she treated them all impartially. The pleasures of the table, philosophical small talk and plain badinage mingled pleasantly. Franklin himself, who enjoyed easy and courteous relations with women, was much charmed, attributed Madame Helvétius's popularity to her good humour and lack of pretension rather than her intellect - it was said she could spell no better than her numerous cats. Although not considered conventionally beautiful, the vivacious sixty year old never lacked admirers. 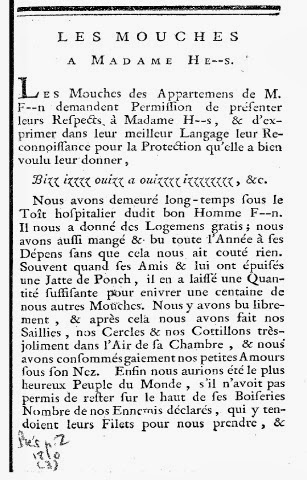 The serious and socially awkward Turgot, who was a frequent guest, proposed to her in vain both before her marriage and after Helvétius's death in 1771. On catching sight of her the ever gallant nonagenarian Fontenelle once commented simply, "Oh to be seventy again..!" family of her daughter, the Marquise de Mun. Purchased by the American Philosophical Society in 1948.
that I was dead and was transported to the Elysian Fields. and her whole study is to please me. which will last to eternity." and you! Here I am - let us avenge ourselves! The conceit is a little clumsy as is the final "let us avenge ourselves! ", but Franklin depicts his cast with gentle humour: Helvétius absorbed in military, religious and political questions; Debbie Frankin bustling around to find the best nectar and ambrosia and the abbé Morellet relishing subtle arguments and large helpings of cream. The "Flies of the Apartments of Mr. F[rankli]n" pay their respects to Madame Helvétius and thank her for the protection she has given them. They have long enjoyed the hospitality of the Good Franklin, eating at his expense and finding in his emptied punchbow "sufficient quantity to inebriate a hundred of us flies". They have merrily swirled around his rooms and consummated their little loves under his nose. Their happiness would have been perfect had he not allowed "our declared Enemies" the spiders, with their pitiless nets to remain at the top of his wainscoting. But under Madame's orders "all these assassins with their habitations and their snares" have been swept away, and the flies can now enjoy Franklin's beneficence without fear. They have only one wish left, that their two patrons henceforth form a single household. The insects buzz merrily with a suitable French accent; "Bizz izzzz ouizz a ouizzzz izzzzzzzz, etc." It says much about the state of Franklin's accommodation that Madame Helvétius, who was notoriously relaxed in such matters, was driven to offer him domestic assistance! Franklin's suit occasioned considerable good-humoured teasing from Madame's various "rivals" in his social circle, notably Madame de la Ferté, Madame Brillon and the comtesse de Forbach. His communications to all these ladies were affectionate and sometimes playfully flirtatious. In a bagatelle addressed to Madame de la Ferté, for instance, Franklin complained that he had been deprived of "half a dozen of her affectionate, substantial and heartily applied Kisses". It was in a letter to her that he enclosed a third ditty on the Helvétius household - not a romantic sally this time but a mock complaint that he and William Temple Franklin had been "bilked for breakfast", trekking from Passy on the promise of brunch only to find their hostess had forgotten them and Morellet eaten all the available food. Madame Helvétius remained a constant friend and a faithful correspondent. In a final touching letter, written two years after Franklin's return to Philadelphia, Minette looked forward to their reunion in the Elysian Fields: "Very soon we will meet again,, with those whom we have loved, I husband and you a wife, but I believe that you, who have been a rascal, will find one more there, my dear Franklin....."
In lighter - but prescient - mood the abbé de la Roche reminisced on 27 July 1787 about a world soon to be lost forever: "We were so happy, were we not, when sitting all together around a good table; when we discussed ethics, politics, philosophy; when Notre Dame d'Auteuil led you on to flirt and the abbé Morellet, while fighting for the cream, set his arguments in magnificent sequence, so as to convince us of what we did not believe. In those days we would gladly have renounced that other Paradise to keep the one we had, and live, just as we were, for all eternity." For the landmarks of Franklin's stay in Paris: ParAmericana Paris Americana - blog on US French links.